The first CD by Fabio Martini on Leo Records (LAB 045 - Clangori) was given five stars by the Down Beat writer John Corbett. Since then Fabio has been called "Italy's best kept secret" (Richard Cochrane) and a "deep-thinking spiritualist" (Cadence). 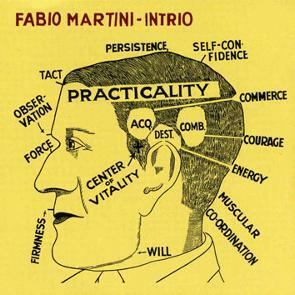 Fabio Martini plays thought-provoking, mysterious music which requires attention. It may not be easy to enter his music, but once in you will find yourself being sucked deeper and deeper into an ominous world of darkness, until you are totally captivated by his pensive, brooding moods. Intellectually and spiritually highly rewarding. Fabio Martini - alto and Bb clarinets, Tito Mangialajo Rantzer - double bass, Carlo Virzi - drums.